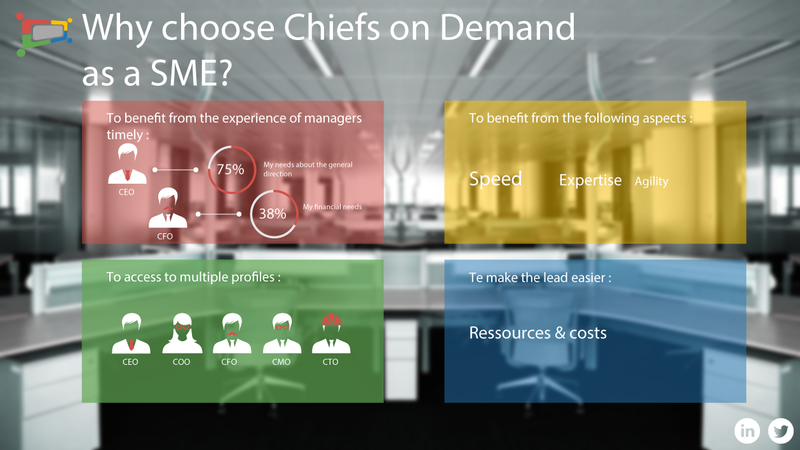 An SME has the same skills requirements as a structure with experienced (CxO) directors. However, the SME does not have the resources to undertake such a full-time profile. Factors such as budget, workload and organization are limiting SMEs’ room for maneuver. Yet, a CxO has a significant potential for SMEs. It starts with skills, experience and mastery developed through years of career within large groups. In addition, each CxO is an expert in a specific field enabling it to be optimal within your structure. Thus, he can work within the marketing, sales or finance department of a company, in order to allow his owner to focus on the core of his business. However, the intervention of an experienced executive is a cost that many companies can not afford. In addition, the workload for a CxO within an SME may be limited. As a result, the resource will require too much investment in relation to the needs of the structure. In addition, the integration of CxO within a structure requires a number of organizational processes to ensure the sustainability of collaboration between the parties. SMEs must learn to combine a new agile working mode and CxO profiles in order to target and control their investments. Moreover, this model must rely on clear organizational processes to control this agility. 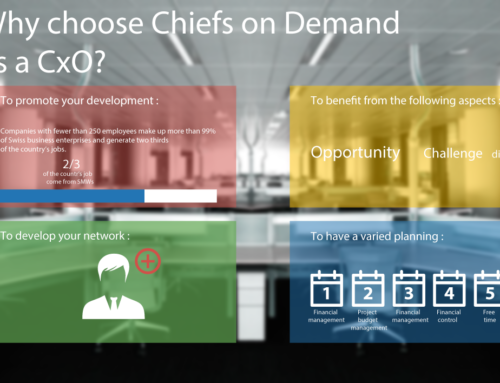 This new form of work is a key solution for an SME to meet its daily challenges.